Located in the heart of Pasay, this hotel is within a 10-minute walk of Mall of Asia Arena and SMX Convention Center. SM Mall of Asia and Manila Bay are also within 15 minutes. Taft Avenue Station is 27 minutes by foot and EDSA LRT Station is 27 minutes. Along with a restaurant, this smoke-free hotel has an outdoor pool and a fitness centre. Free WiFi in public areas and free self parking are also provided. Other amenities include a business centre, concierge services and dry cleaning. 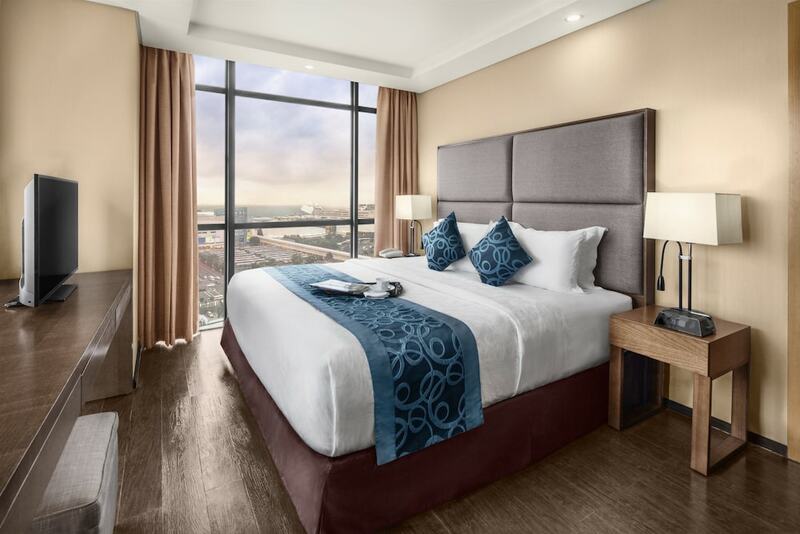 All 281 rooms feature thoughtful touches such as bathrobes and slippers, plus free WiFi, free wired Internet and flat-screen TVs with cable channels. Guests will also find MP3 docking stations, minibars and room service (during limited hours). Golden Phoenix Hotel Manila features an outdoor pool and a fitness centre. The hotel offers a restaurant. This 4-star property offers access to a business centre. Wireless Internet access is complimentary. This business-friendly hotel also offers concierge services, dry cleaning/laundry services and room service (during limited hours). For a surcharge, a round-trip airport shuttle (available 24 hours) is offered to guests. On-site self-parking is complimentary. Golden Phoenix Hotel Manila is a smoke-free property. Golden Phoenix Hotel Manila has a restaurant on site. Start your morning with a full breakfast, available each day from 6 AM to 10 AM for a surcharge. Room service is available during limited hours. Rollaway/extra beds are available for PHP 1500 per night. This property offers transfers from the airport (surcharges may apply). Guests must contact the property with arrival details before travel, using the contact information on the booking confirmation. No pets or service animals are allowed at this property.